Did you know that May is National Salad Month? Well, it is. What does that have to do with writing, you ask? Since I believe that a holistic approach to having a successful writing career encompasses our mental, physical, emotional and financial health, I thought this would be a fun, informative topic to share today. So if you're on board, let's explore more. "The Association for Dressings & Sauces launched National Salad Month in May of 1992, in response to a 1991 Gallup Poll that revealed that three out of four people eat a tossed salad at least every other day." Remember when your mom used to tell you to "eat your salad"? She was right. 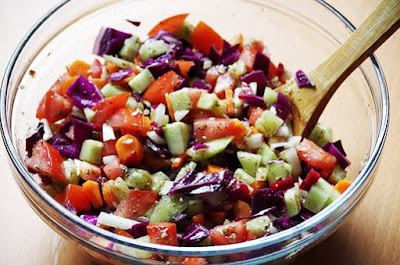 Salads are good for your health and provide an array of benefits. 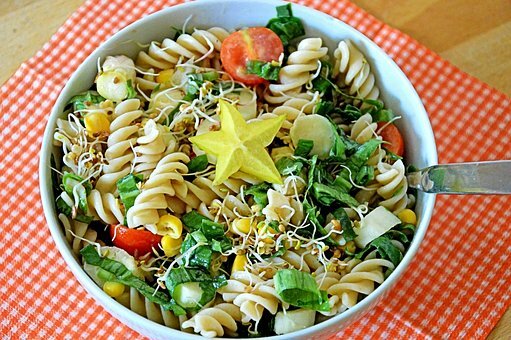 Salads are a good source of fiber. Which can help lower cholestrol and prevent constipation. They are a smart and easy way to add the recommended fruits and vegetables to your daily diet. Salads are easy to prepare; especially for those who are cooking challenged. Salads can incentivize you to finally start your herb garden this summer. Salads can contain ingredients that serve as Antioxidants; thereby potentially lowering the risk of Cancer. And here's a bonus: many fast food and take out restaurants now offer salads as part of their healthy alternative menu options...like McDonalds, Subway and Wendy's, to name a few. Hopefully I've given you a few ideas to chew on today. Curious here...Do you eat salads regularly? What's your recommendation for a good fast food restaurant salad? Please feel free to share any recipe links as well. Jennifer, thanks for the link to my blog! We're planting salad ingredients like crazy this year. My fave? Kale - and so so good for you. Great post. Be well, my friend. Glad to share the love, Sue. I hope to get a good garden in my backyard this summer. Fingers crossed. :-) Wish me luck.